• Flexibility to work on shift basis. A positive outgoing attitude, very good communicational skills, self-initiative, creativity while solving challenging situations and ability to work in a team should be your personal features. Experience in a hotel business should be considered as an advantage. At least one year experience in customer service business, very good knowledge of Lithuanian, Russian and English languages, driver's license (category B) is a must and at least 2 years of driving experience. Radisson Blu Hotels provide ample opportunities for personal development and career advancement which will only be limited by the goals you set and your performance in achieving them. 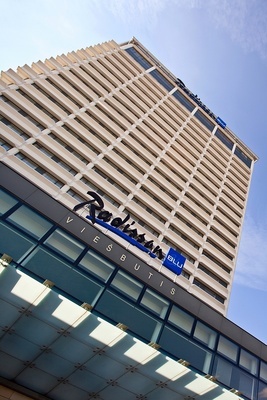 The Carlson Rezidor Hotel Group, one of the world's largets and most dynamic hotel companies, operates Radisson Blu and Park Inn brands in Lithuania. The group features a fantastic portfolio of more than 1,300 hotels in operation and under development with nearly 209,000 rooms in over 80 countries. One of the biggest hotels in Lithuania - Radisson Blu Hotel Lietuva - has now exciting opportunity available for highly motivated individual who would enjoy working at our successful company and invites to apply for a following position.